Rivers Edge Products for the outdoor and horse / western enthusiast include magnificent artwork on playing cards. “Lures of the Past” is a deck featuring fishing lures made from the 1890s to around 1940 and is designed by Jon Q. Wright & Artists®. The “American Whitetail Deer” deck features the wildlife art of Cynthie Fisher. Above: “Lures of the Past” playing cards created by Jon Q. Wright & Artists® and available from www.jonqwright.com. The American Whitetail Deer has a rich and colourful history. This 54-card deck features the wildlife art of Cynthie Fisher of J.Q. Outdoors along with Break-Up® Camouflage by Mossy Oak®. 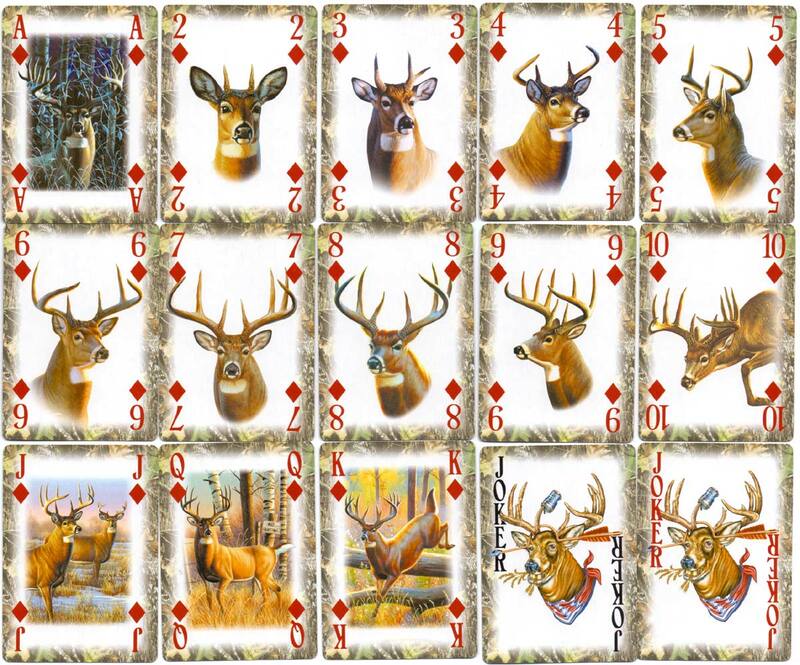 The cards feature two-point through ten-point bucks as well as beautiful deer scenes on the court cards. 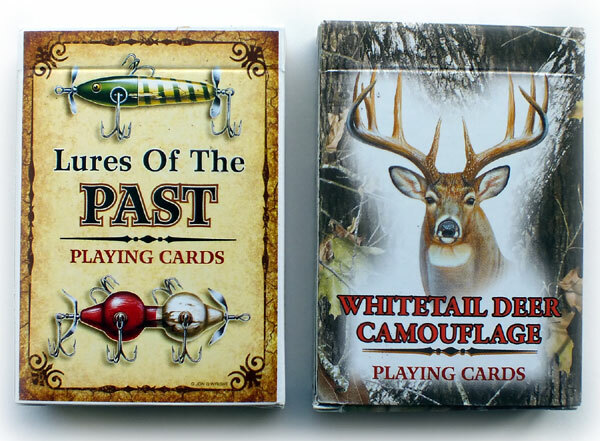 Above: “Whitetail Deer Camouflage” playing cards with deer artwork by Cynthie Fisher, who is represented by J.Q. Outdoors and published by Rivers Edge Products, USA. 52 cards + 2 jokers + 2 extra cards in box. Photo credits: All images courtesy Sophie & Dan Jaynes.